Here's a look at every X399 motherboard available for AMD Threadripper's CPUs. For the first time in a long time, AMD is battling Intel for high-end desktop supremacy with its Ryzen Threadripper processors. Its chosen weapon? Cores, cores, and more cores, culminating in the monstrous 16-core, 32-thread Threadripper 1950X ($999 on Amazon). But cramming that much hardware into a chip means bigger chips, and bigger chips need bigger sockets. 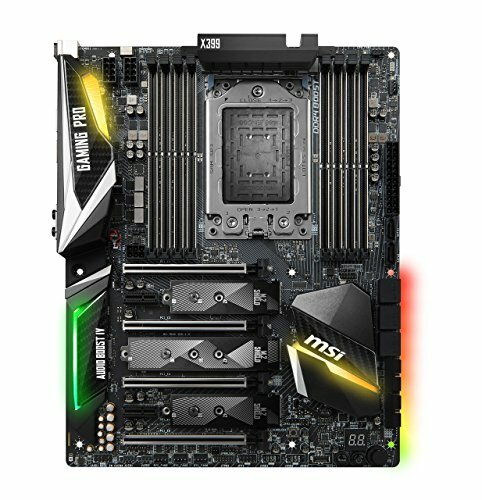 Enter the new AMD X399 motherboards. All X399 motherboards revolve around the gargantuan TR4 socket, and thus aren’t compatible with mainstream Ryzen processors. But on the flip side, Threadripper systems can tap into capabilities that the rest of AMD’s CPU lineup can’t—quad-channel memory support, eight DIMM slots, and a whopping 64 PCI-E lanes, most notably. Those robust features come at a price though, as X399 motherboards can cost even more than Intel’s pricey Extreme Edition boards. Here’s a look at the specs, price, and features of every X399 motherboard available for AMD Threadripper CPUs, along with some helpful talk about X399 CPU coolers. If you’ve got questions about the chips themselves, be sure to check out PCWorld’s in-depth Threadripper 1950X review, as well as our overall Ryzen Threadripper explainer. 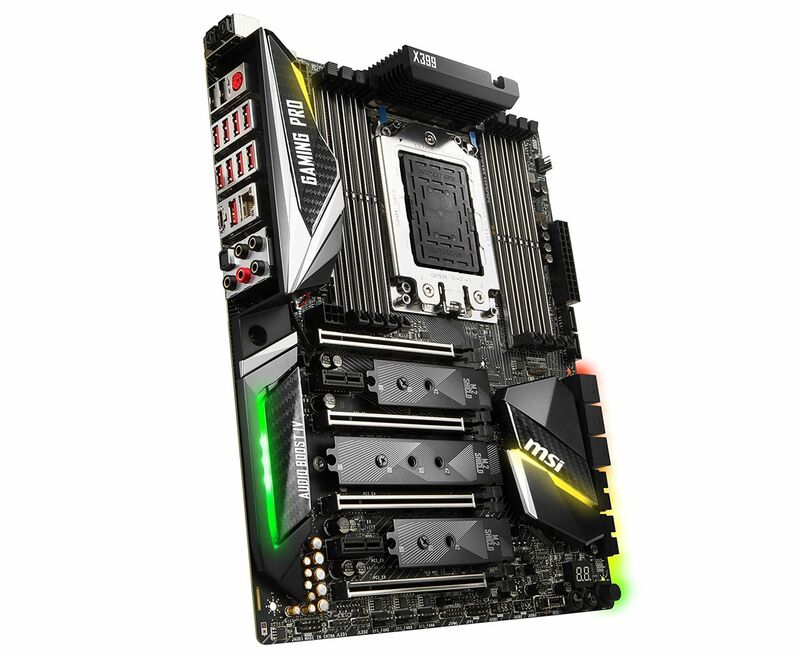 Editor’s note: This living article was last updated on November 20, 2017 to add the MSI X399 SLI Plus and more details about the Asus ROG Strix X399-E.
First things first. This roundup focuses on X399 motherboards, but there’s another important consideration to take into account when you’re kitting out your Threadripper rig: the CPU cooler. 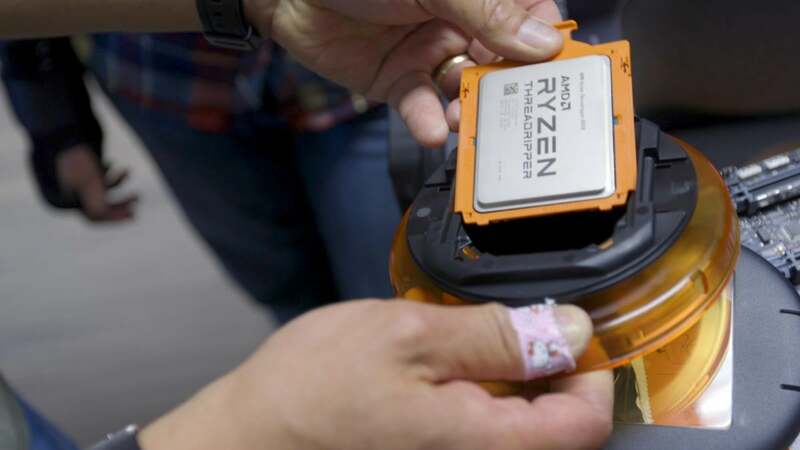 Between Threadripper’s considerable 180-watt TDP and the utterly massive 4,094-pin TR4 socket, many coolers flat-out won’t work with AMD’s high-end desktop chip—especially traditional air coolers. 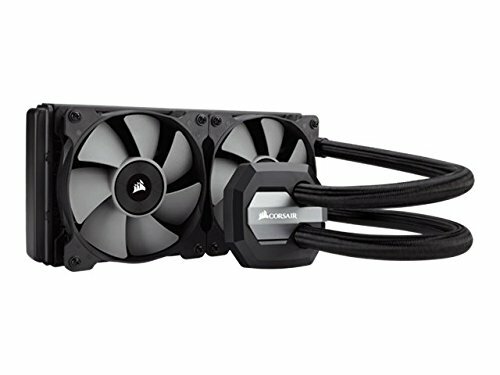 Fortunately, AMD includes a bracket in every Threadripper box that ensures compatibility with many—but not all—closed-loop liquid-cooling solutions, including popular models like the Corsair Hydro H100i V2 ($110 on Amazon) and NZXT Kraken X62 ($160 on Amazon). 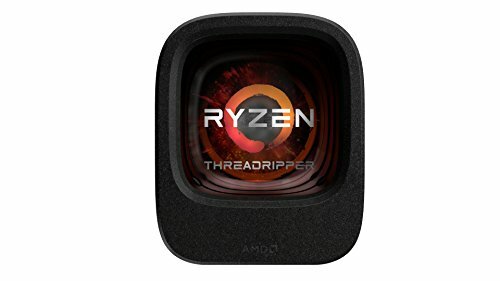 AMD maintains a list of Threadripper-compatible CPU coolers. Be sure to keep it handy while you shop, especially before coolers with native X399 support hit the market. The Asus ROG Zenith Extreme. 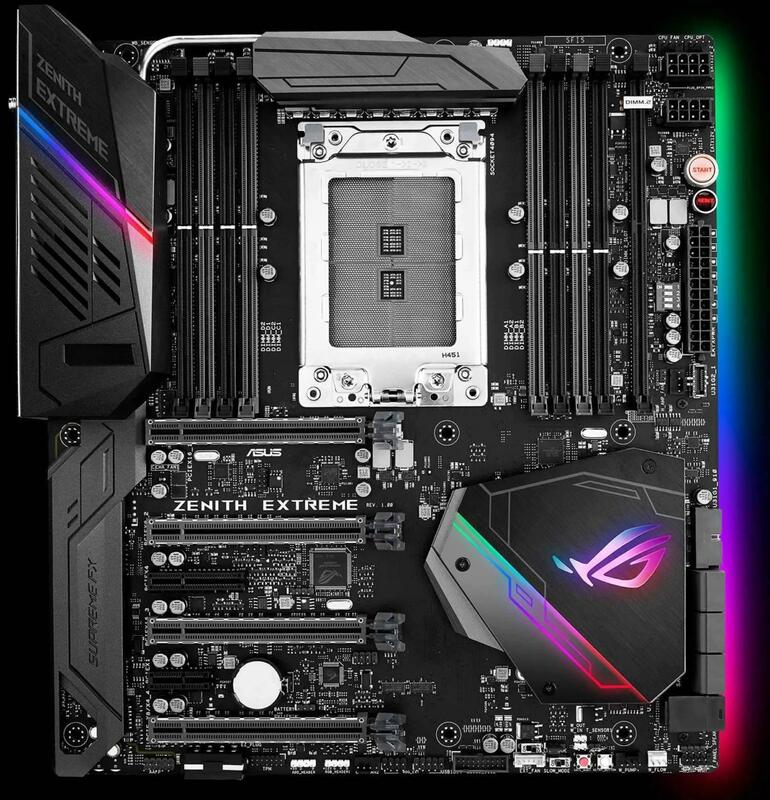 Let’s start with the X399 motherboard that AMD included in Threadripper review kits, the Asus ROG Zenith Extreme ($550 on Amazon). That’s a whole lot of cash for a motherboard—heck, if you opt for the 8-core Threadripper 1900X you’re spending as much on the motherboard as you are on the chip. But that investment gets you virtually every goodie you can ask for in return. 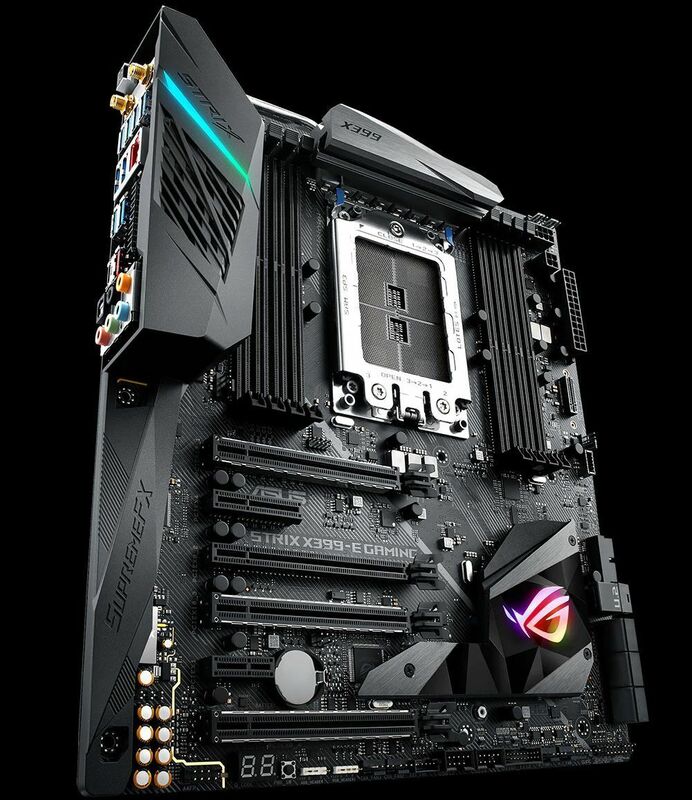 In addition to the raw specifications below, the ROG Zenith Extreme includes numerous extra features, such as a 4-pin header for Asus’s Aura Sync RGB lighting, a “DIMM.2” expansion card for two additional M.2 SSDs, a Livedash OLED display that shows system vitals, and reinforced materials for durability. The ROG Zenith Extreme is made to overclock, too, with a dedicated header for monitoring liquid-cooling performance and heatsinks for the M.2 slot and board VRMs. There are even buttons to clear your CMOS battery and flash your BIOS. 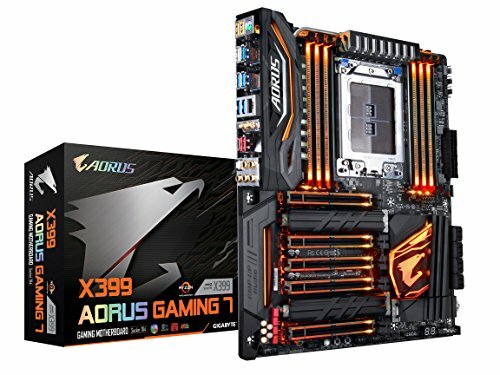 The Gigabyte X399 Aorus Gaming 7. 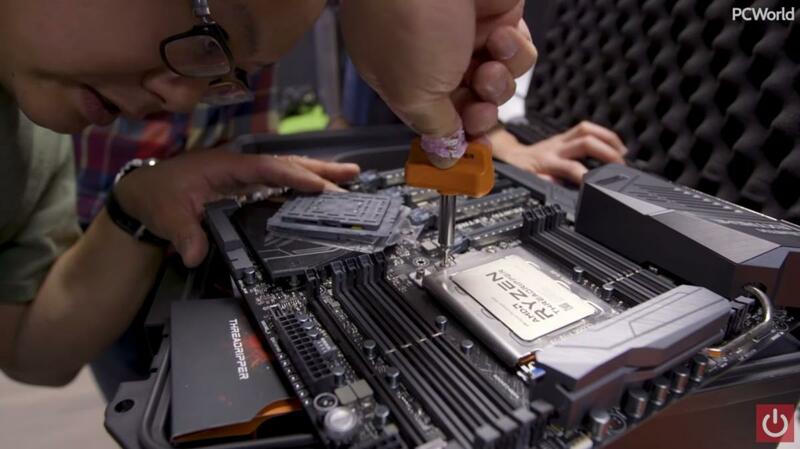 Gigabyte’s Aorus hardware was a rock of stability in the rough and tumble early days of Ryzen motherboards, and the brand’s showing up for Threadripper’s debut in the form of a single product. 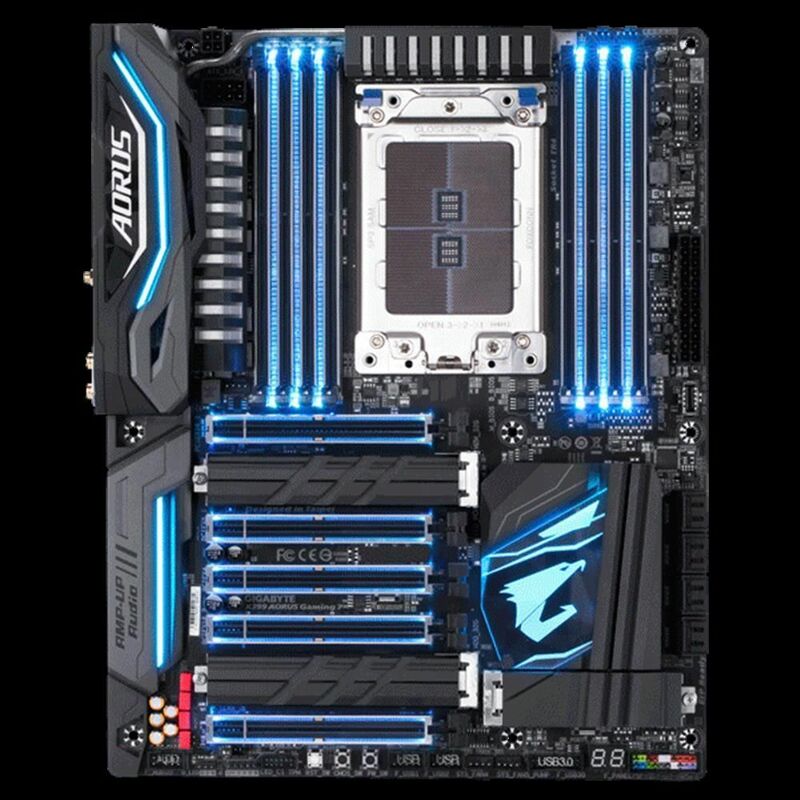 The Gigabyte X399 Aorus Gaming 7 ($390 on Amazon) mirrors the aesthetic of the Gaming 7 boards available for other platforms, with aggressive RGB Fusion lighting, extra-durable materials, and gold-plated audio jacks. Other nice extras include a thermal guard for the abundant M.2 SSD slots and Gigabyte’s Q-Flash Plus port for easy BIOS flashing. This thing’s loaded with storage connections, too. The MSI X399 Gaming Pro Carbon AC. Like the other high-end X399 motherboards already discussed, the MSI X399 Gaming Pro Carbon AC ($380 on Amazon) reinforces its PCI-E slots with steel to combat GPU sag and accidental damage. Unlike Asus and Gigabyte, MSI’s actively promoting its power regulation as a benefit to overclockers, highlighting its 10+3 phase VRMs. This board’s brimming with storage connections to put Threadripper’s abundant PCI-E lanes to use. The X399 Gaming Pro Carbon AC seems incredibly customizable, too, with support for MSI’s Mystic Light customizable RGB lighting and even exchangeable 3D-printed M.2 heatsink covers. The ASRock X399 Fatal1ty Professional Gaming. 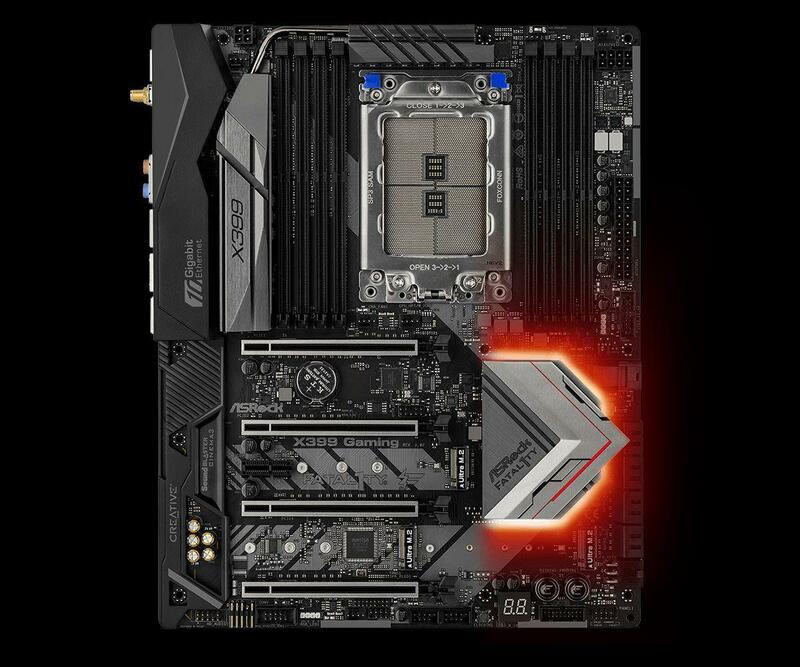 The ASRock X399 Fatal1ty Professional Gaming ($440 on Newegg) rocks many of the same premium extras found on other X399 motherboards, such as gold-plated audio jacks, customizable RGB lighting, and steel-reinforced PCI-E slots. But it’s clearly designed with overclocking in mind, as ASRock’s marketing pushes enthusiast-friendly touches like an 11-phase VRM, a BIOS flashback feature, and premium caps and chokes. 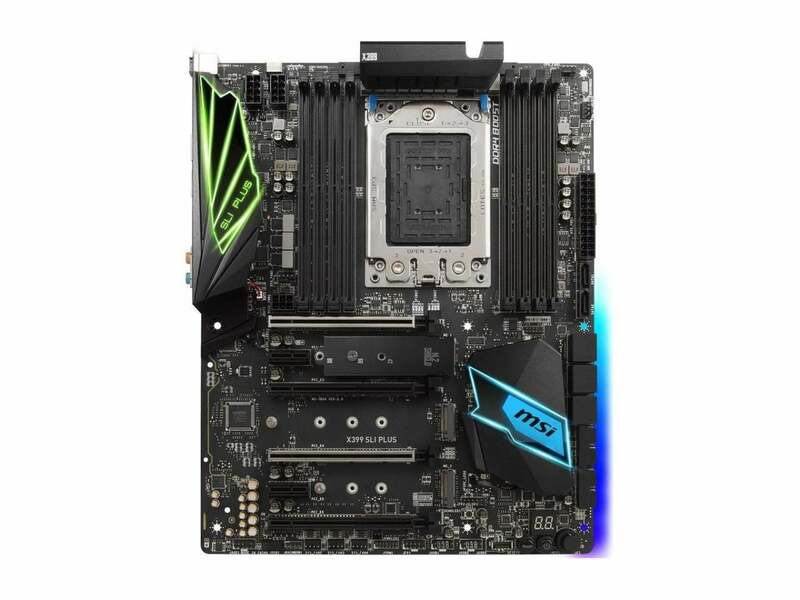 ASRock’s flagship X399 motherboard also stands out from the pack thanks to its trio of LAN ports and Aquantia 10 Gigabit ethernet, if you need expansive connectivity. 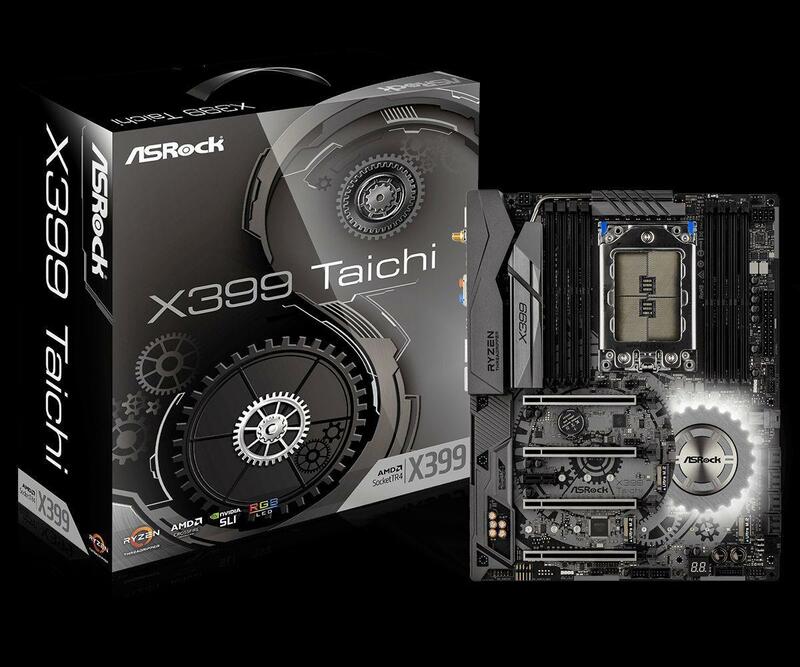 The ASRock X399 Taichi ($340 on Newegg) is a X399-ized version of the popular X370 Taichi motherboard for Ryzen processors, right down to the gigantic gear-shaped heatsink smack dab in the middle of the board. 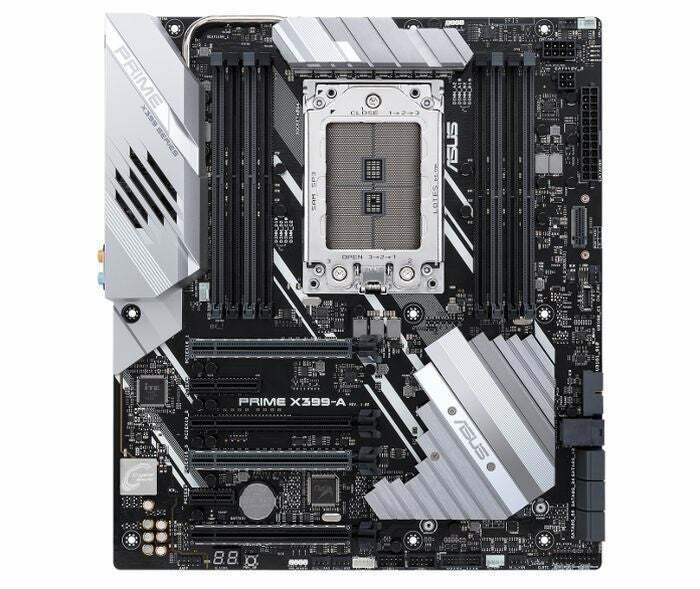 It packs many of the same core features as the ASRock X399 Fatal1ty Professional Gaming but trims out some of the more premium extras to knock $100 off the price. 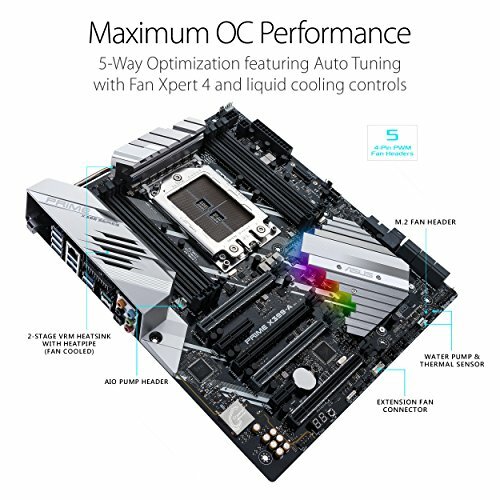 For instance, the Taichi lacks Sound Blaster audio support and the fancy Aquantia 10 Gigabit LAN, though it still includes niceties like steel-reinforced PCI-E slots, dual Gigabit ethernet ports, and the same overclocking-ready materials found on the X399 Fatal1ty Gaming. 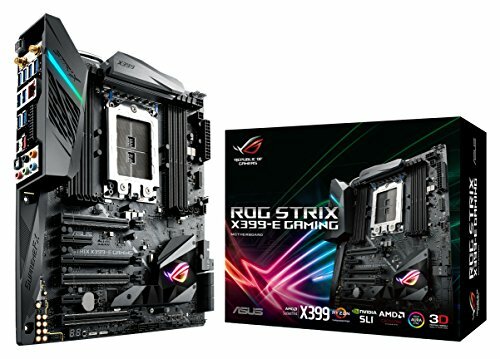 Asus pitches the Prime X399-A ($350 on Amazon) as a professional motherboard, “a do-everything workhorse that plays to Threadripper’s strengths without spending too much of the budget on extras.” Even still, it includes notable extras like reinforced SafeSlot PCI-E slots, two liquid-cooling headers, and Aura Sync support. While this board is available to preorder at Threadripper’s launch, it won’t actually hit the streets until August 22. The Asus ROG Strix X399-E. The ROG Strix X399-E carries the premium Strix branding used on Asus’ high-end graphics cards over to Asus’s high-end motherboards. It sits between the no-holds-barred ROG Zenith Extreme and the more restrained Prime X399-A at $388.50 on Amazon. Like the Zenith Extreme, the board supports customizable Aura Sync RGB lighting. “It’s designed to be shown, with multiple onboard lighting zones backed by headers for both standard and addressable RGB hardware,” Asus says. 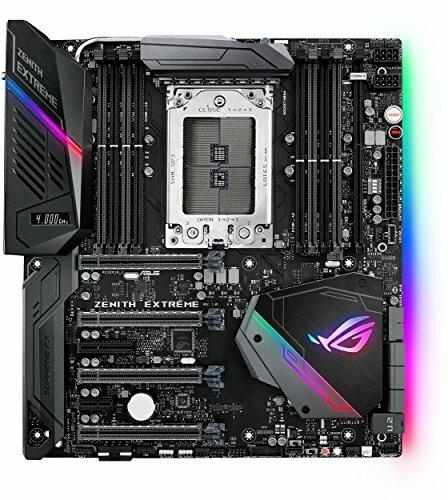 The ROG Strix X399-E offers six fan headers plus additional liquid-cooling headers than can also be configured for standard fans, all controlled by the Asus FanXpert technology, which “lets you associate individual fans with multiple sensors” to ramp up cooling where it’s needed, when it’s needed. The Threadripper-ready Strix board works with up to three graphics cards—though only a pair of Asus’s own 2.5-slot-wide Strix GPUs will fit. Asus also tucked a finned radiator and tiny as-needed fan underneath the I/O shield to help the motherboard’s VRMs dissipate heat. The slightly more affordable MSI X399 SLI Plus ($340 on Newegg) ditches some of the extra features found in the X399 Gaming Pro Carbon AC, but it’s still one hell of a motherboard, loaded with impressive hardware support. Compared to its sibling, only one of the SLI Plus board’s M.2 slots offers a protective heat sink (and no, it doesn’t support custom 3D-printed covers), the DDR4 memory slots aren’t steel-reinforced, and you won’t find the gaming-focused Nahimic software package installed. The SLI Plus also lacks the Gaming Pro Carbon’s VR Boost technology, which “ensures a clean and strong signal to a VR optimized USB port,” and a Wi-Fi card. 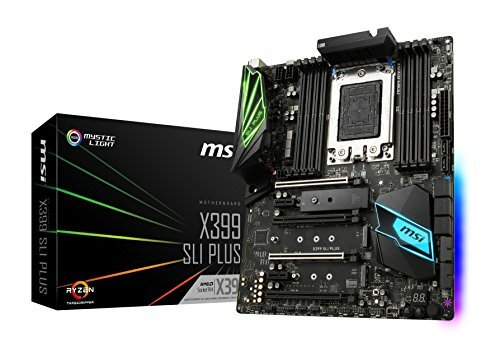 If you don’t mind losing those (mostly non-essential) features, though, this board is $40 cheaper than MSI’s other X399 motherboard.